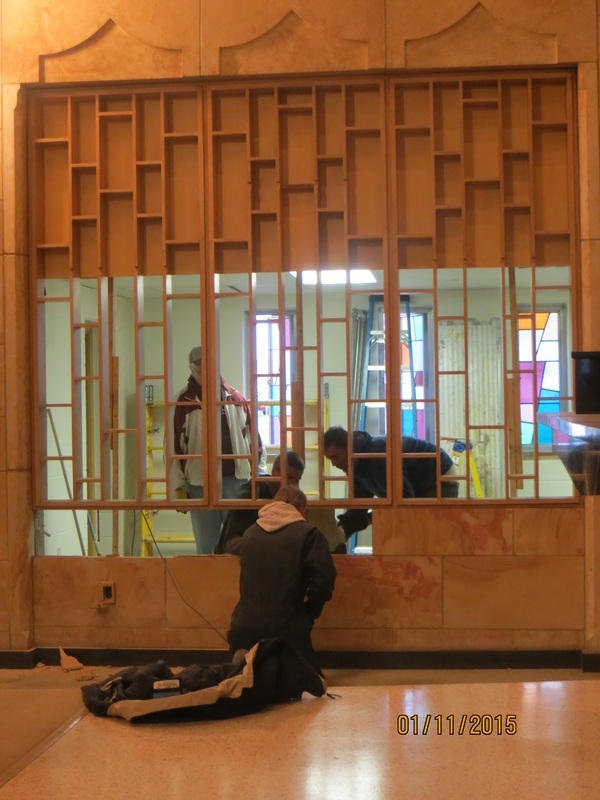 The wooden lattice wall being removed. 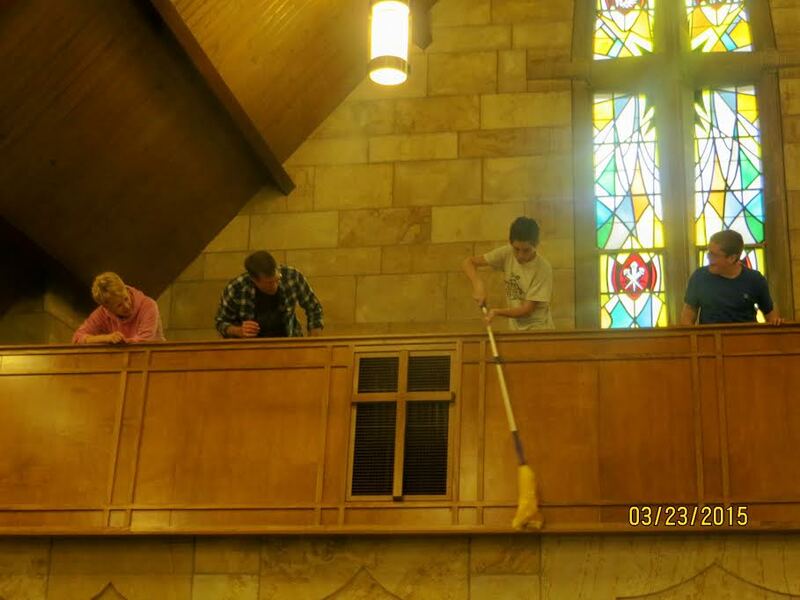 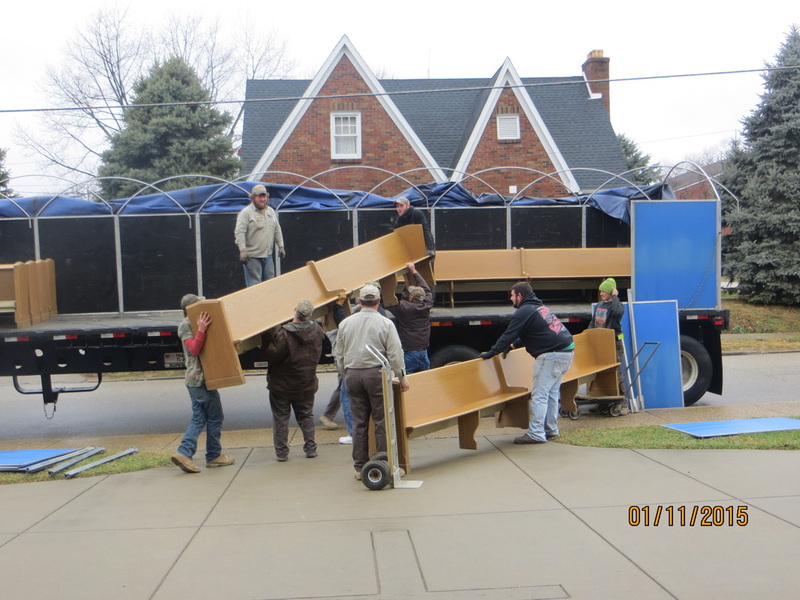 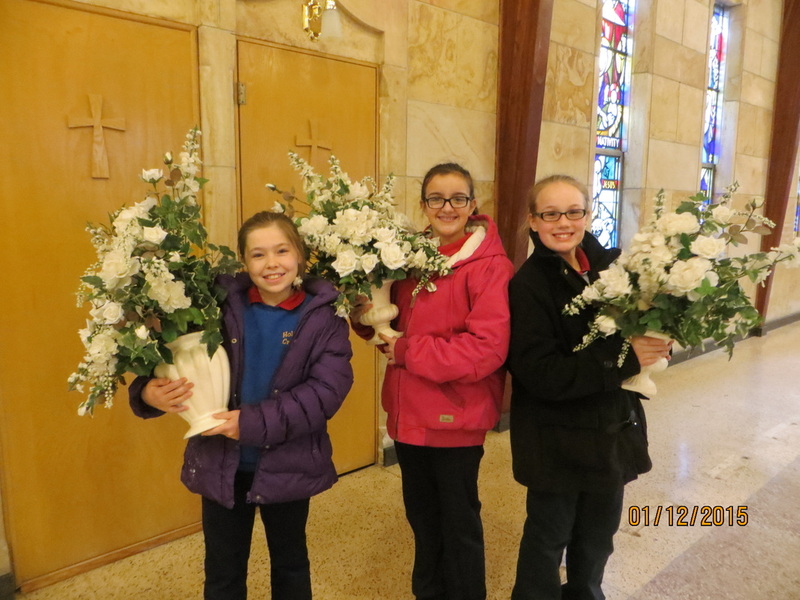 Kristen Spindler, Haylee Neufelder, and Beth Weber, along with other Holy Cross Students, help to relocate the church decorations from the balcony into the garage for storage. 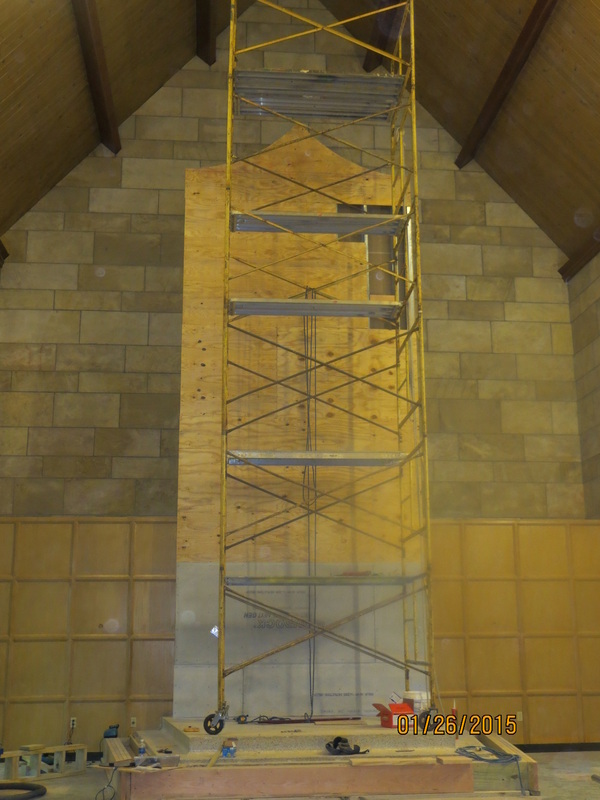 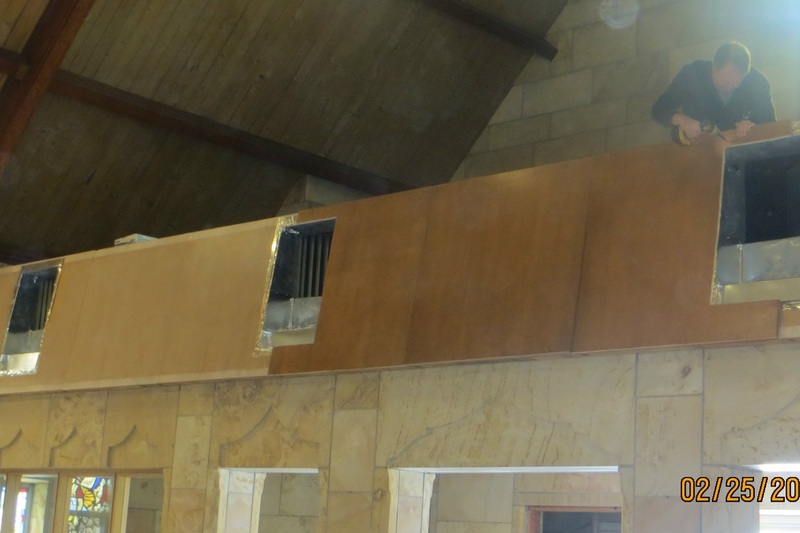 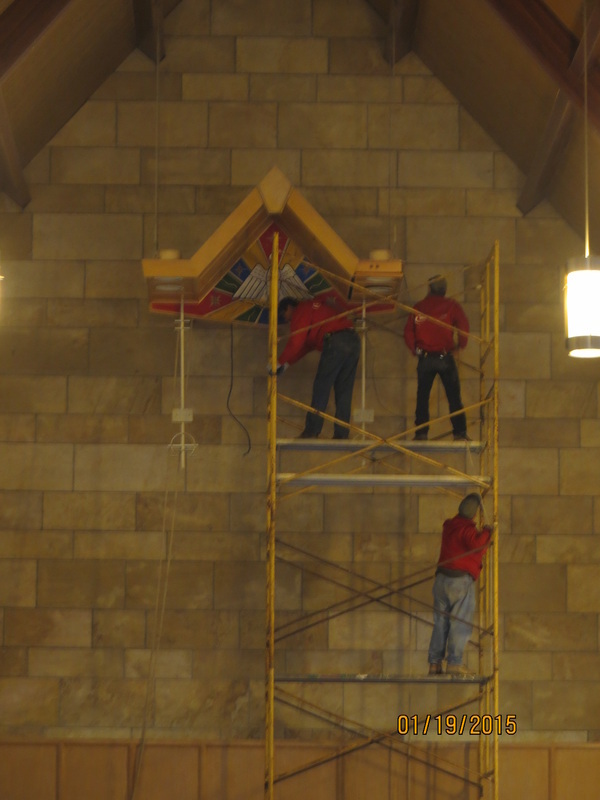 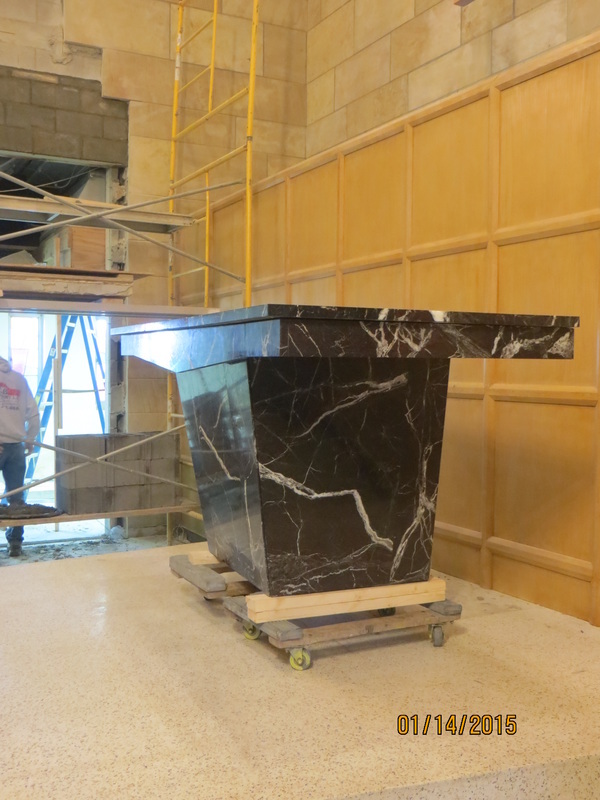 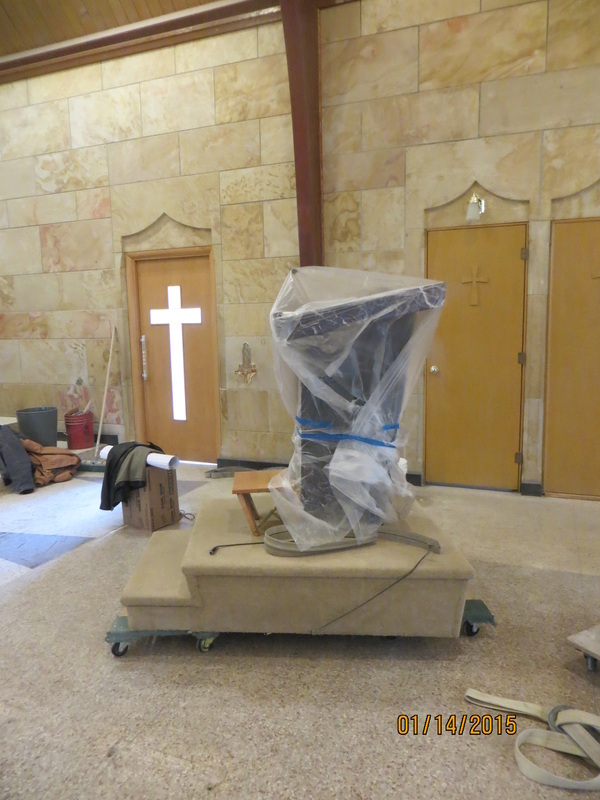 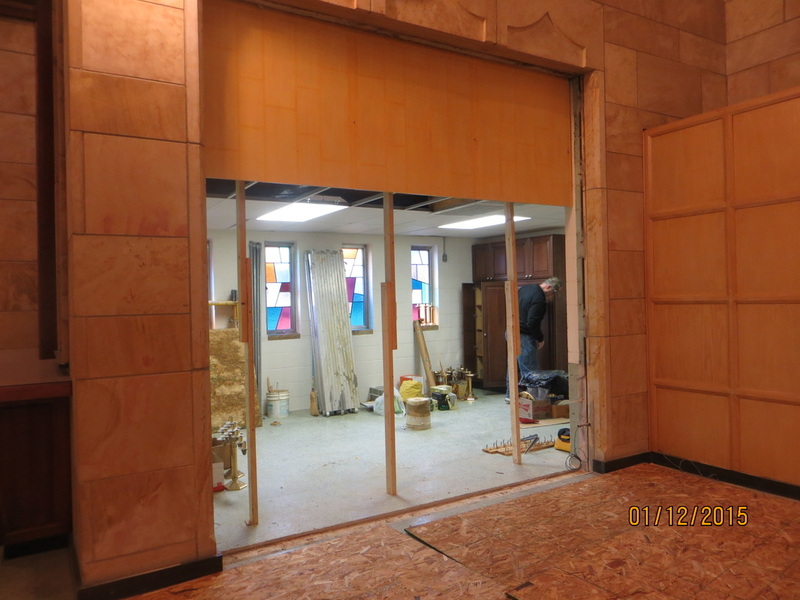 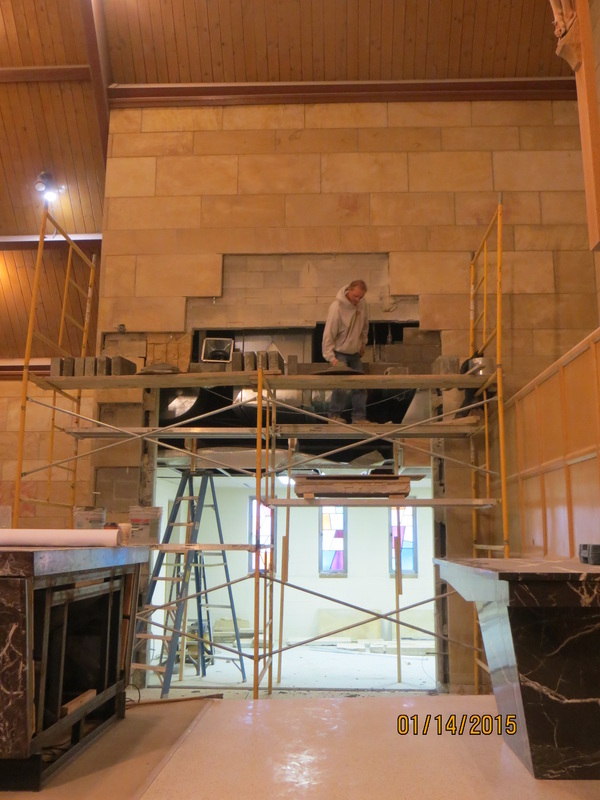 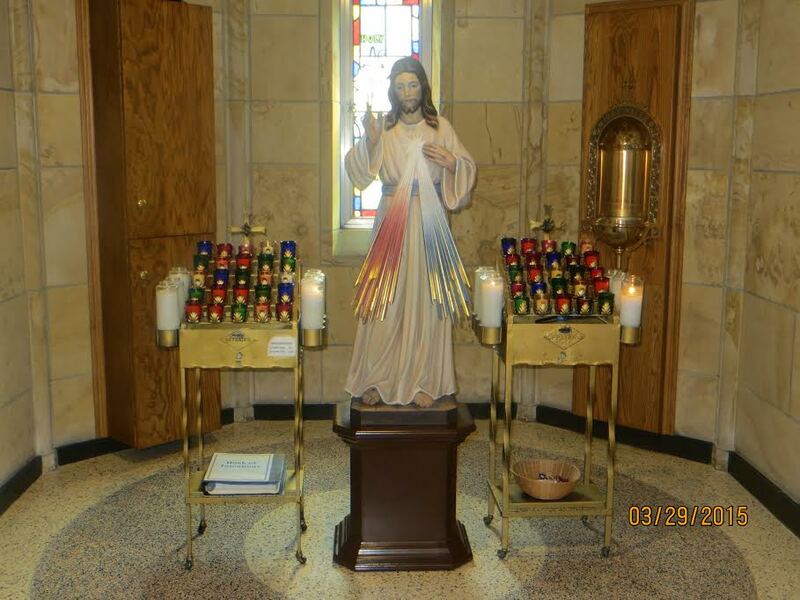 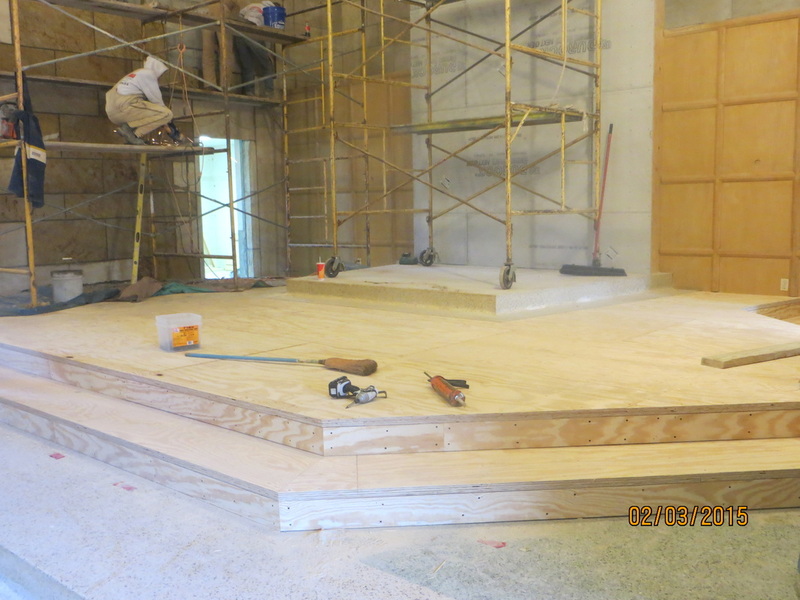 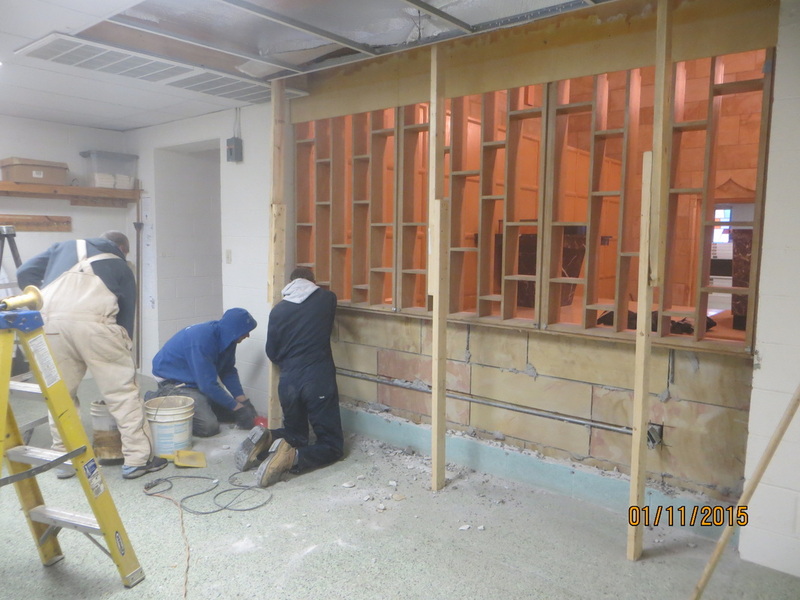 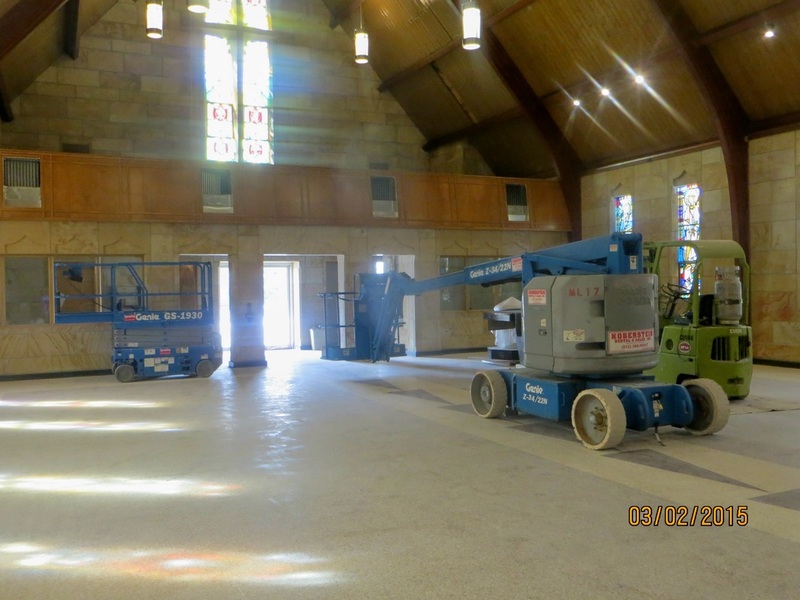 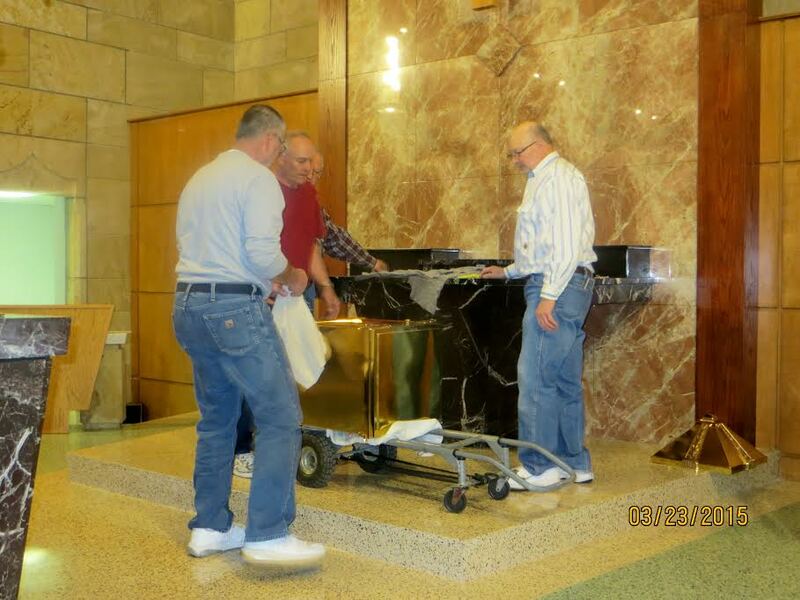 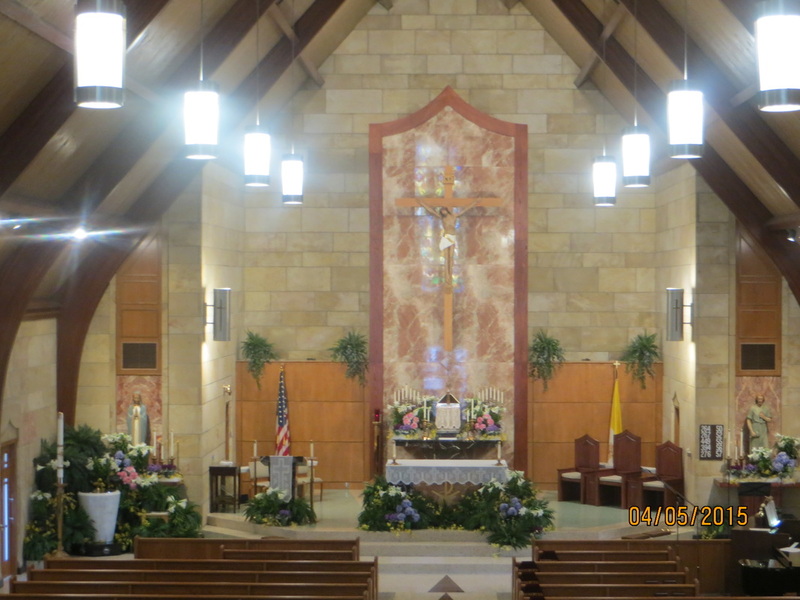 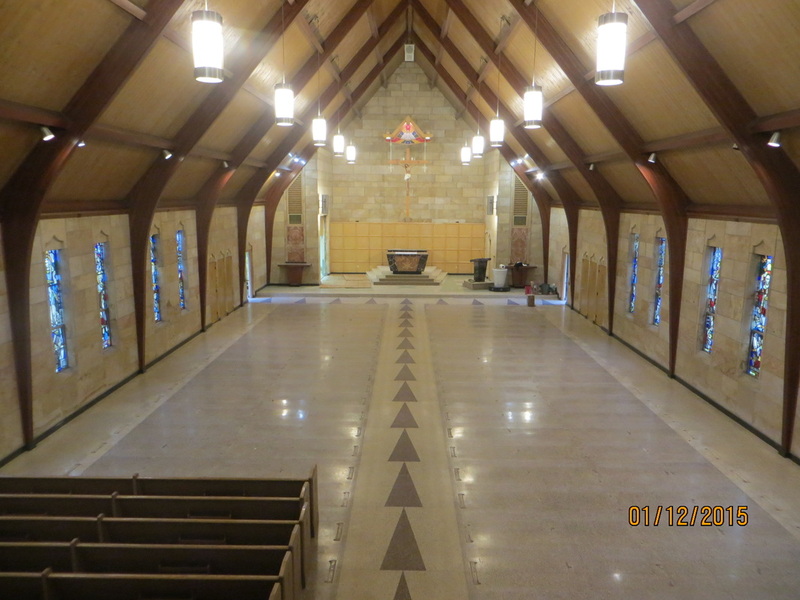 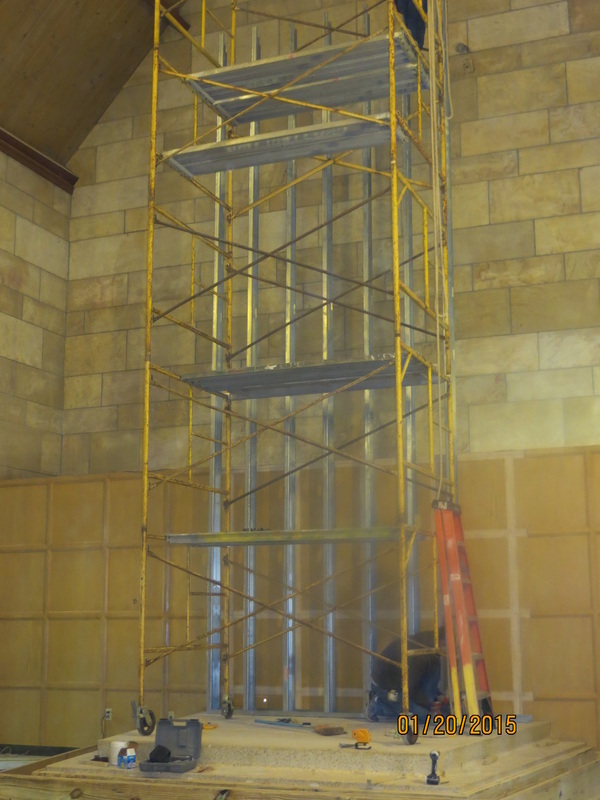 Installing the new wall between the sanctuary and the server's sacristy. 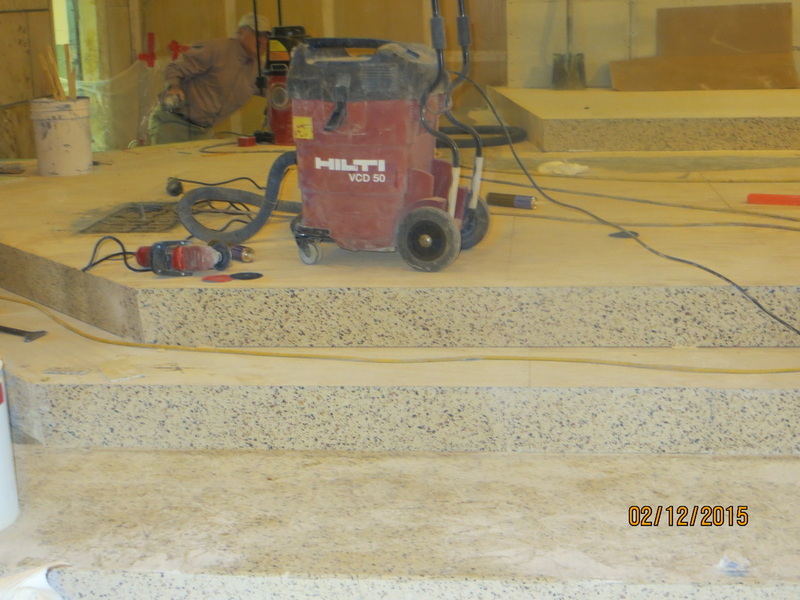 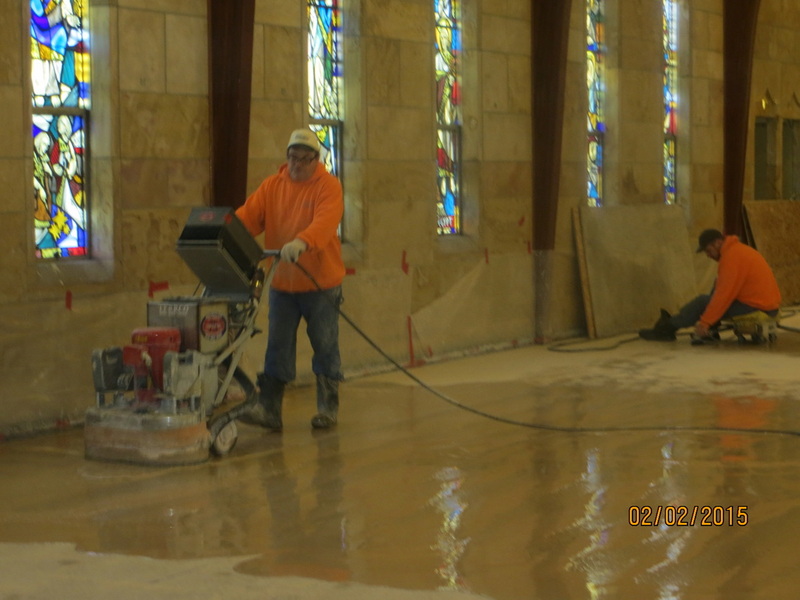 Removing the old wax from the floor surfaces.